Vote forBusselton, WATop Regional Destinations Which are Australia's must-visit destinations? You help us decide. The small, seaside town of Busselton to the south-west of Perth has long been popular with Western Australians, having taken the title of the state's top tourist town over the course of three separate years. Featuring a magical coastal location and famous sunsets, it's one of WA's hidden regional gems - one that's most famed for its iconic jetty. Why it's special: Busselton is famous for sheltered beaches, seasonal humpback whale visits and a picturesque 19th-century Busselton Jetty stretching nearly 2km to the Underwater Observatory. Upon arriving at Busselton's quaint, charming foreshore area, it's easy to see why its reputation outweighs its size – the inherent old-world charm of the town still exists to this day, and its continued development has been wonderfully balanced with maintaining the town's beauty with painstaking care. Busselton's Jetty is it's most initially obvious attraction, and what a jetty is is - it extends an impressive 1.8km out into the waters of surrounding Geographe Bay, and serves as the perfect spot both for a stroll, and from which to take in the town's famed sunsets. In fact, Busselton's sunsets were voted the best in Australia in a national poll we held back in 2013, and are special in that they often branch away from the typical red-orange glows of many other spots and often have a distinct indigo-purple tinge. As with many other regional coastal towns, Busselton has a buzzing waterfront district replete with all the expected cafes and restaurants, while its large and spacious beach is nearly eternally clean and ideal for relaxing or enjoying a swim in its calm waters. The relatively unassuming town in WA's south-west has a surprising amount to offer visitors, and is highly family-friendly; Busselton is very navigable in particular, with a number of bikeways and cycling paths, while its beach is calm and very safe for swimming for those travelling with younger ones in tow. Families making the walk to the end of its jetty can also climb aboard the dedicated jetty train that serves as a quaint and enjoyable way to travel back towards town in old-style fashion that's ever-popular with children. Busselton's residents are famously friendly and welcoming, too, with its local restaurants and watering holes always abuzz with warm conversation and top-notch service. Add in a number of quality regional attractions including the Old Butter Factory and Welcome to Wonky Windmill Farm & Eco Park among others, and the natural offerings are augmented nicely with plenty to keep visitors occupied. Looking to pay a visit to Busselton but not sure what to do? Here are a few of its most essential experiences. 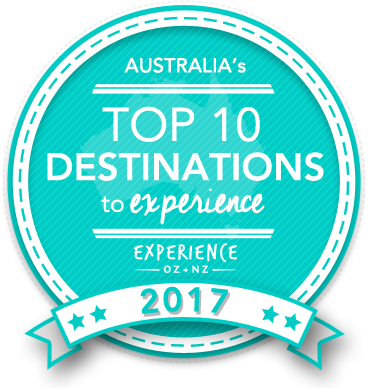 Is Busselton Australia's Top Regional Destination to Experience for 2017? Vote now for the chance to WIN an epic trip to one of Australia's top destinations!